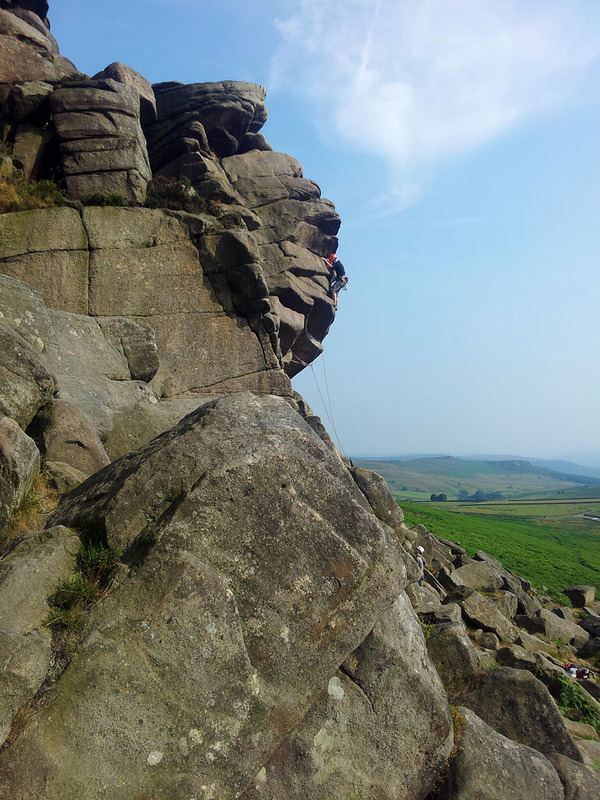 Finally got away to the Peaks climbing again and we had 2 days booked. 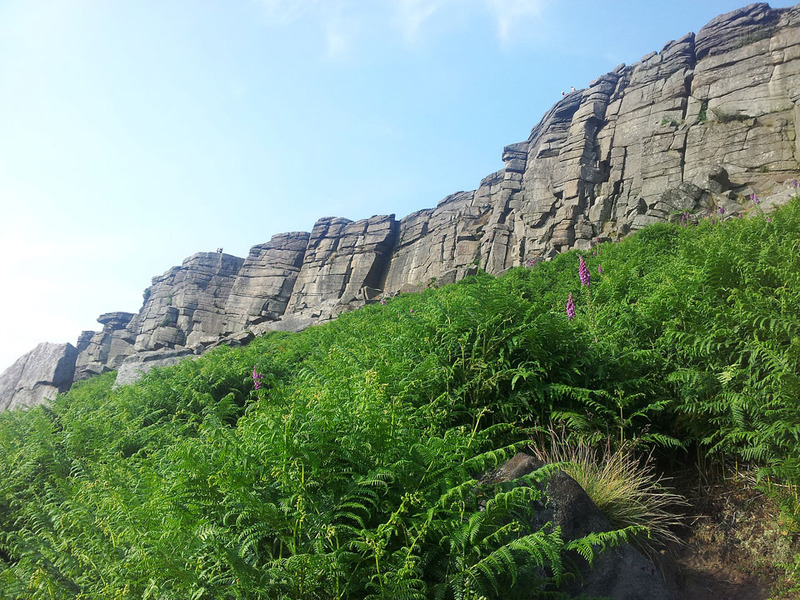 The first day turned out to be a lovely day (a bit hot maybe!) 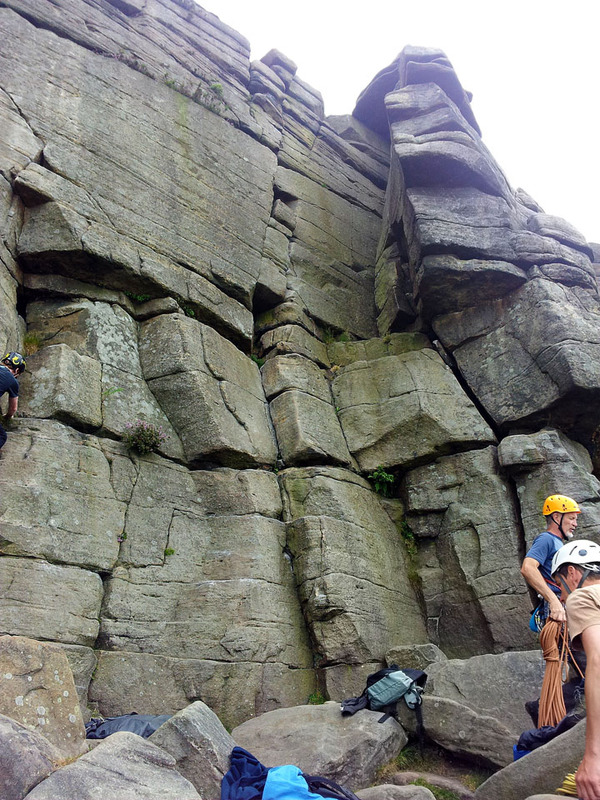 and the second day was a total wash out so we enjoyed a full days climbing on Stanage Edge on the first day and then went to the indoor wall at Sheffield to do a bit more before heading home. 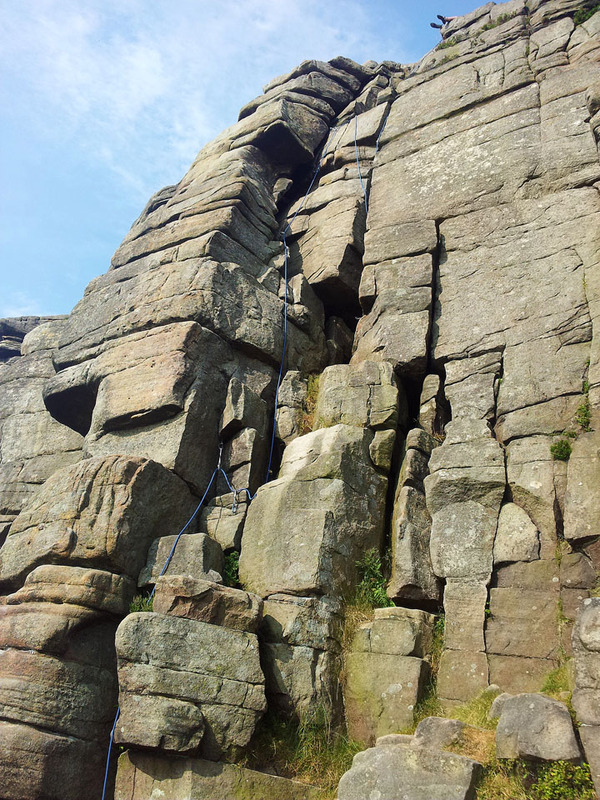 This was the hardest route of today and was Carl's first lead climb of the day. 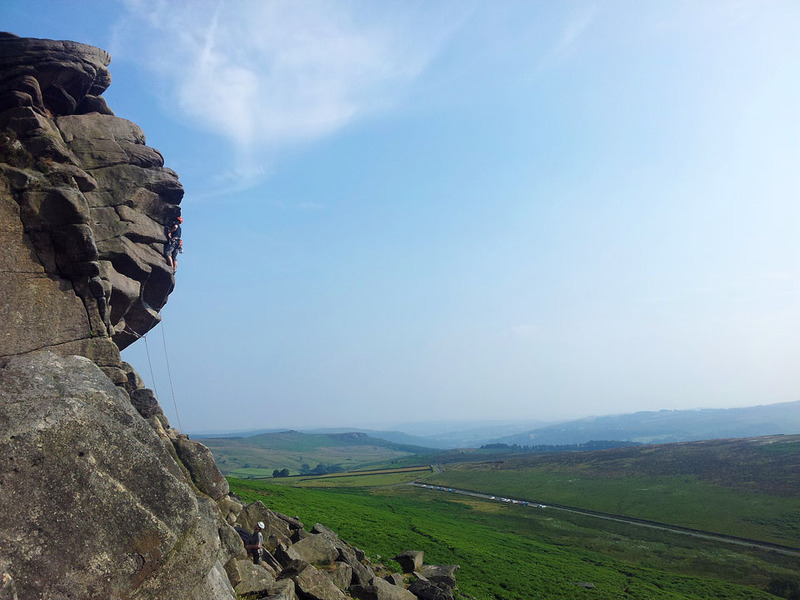 A 'Hard Severe' route called Castle Crack. These are the two next routes. 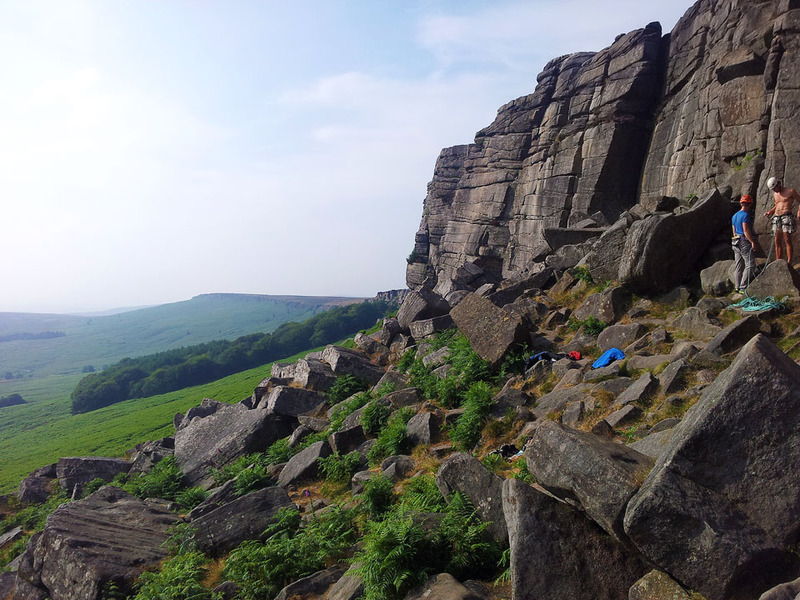 The one in the gully was a route that Carl led on and the obvious crack in the middle of the photo is a Severe that I did. 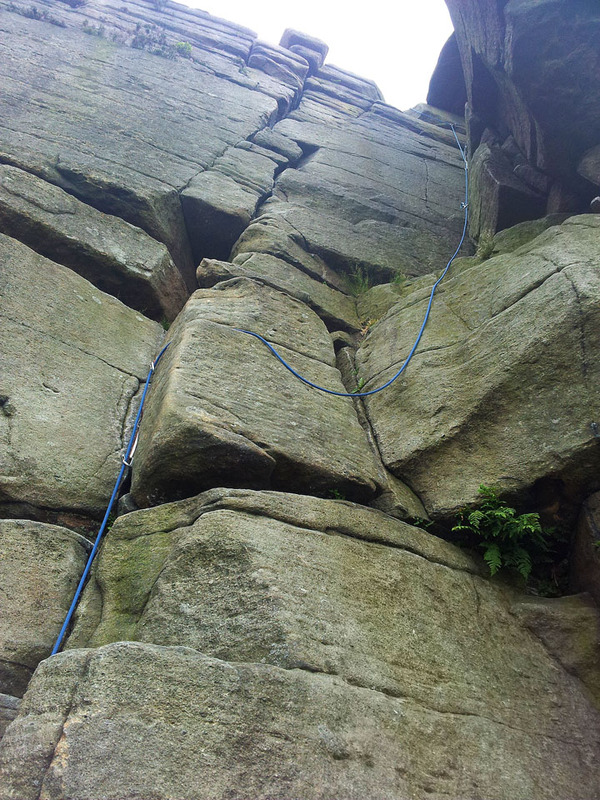 The rope showing the route Carl did. He is currently at the top setting up an anchor so I can second the climb and take all the gear out. This was the last 'V-Diff' of the day which followed the crack up. It looks really simple from down here but I can say there are a few tricky bits. 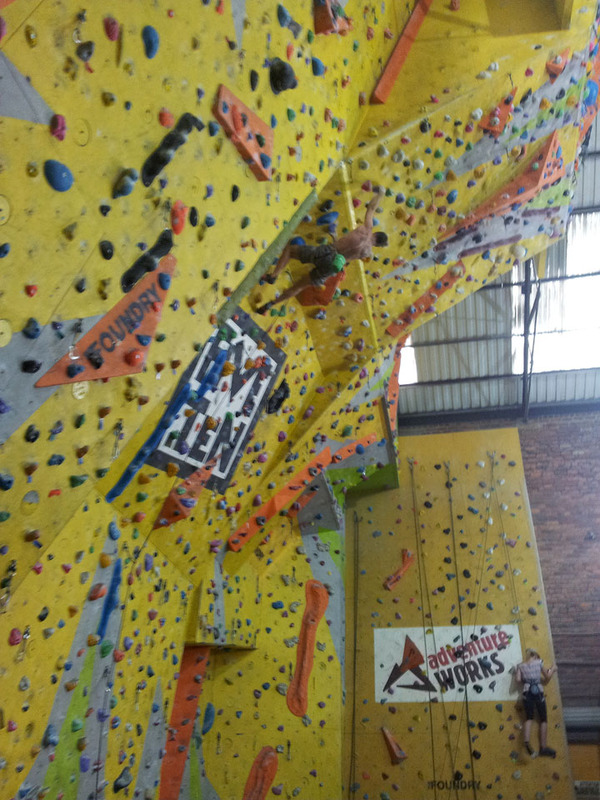 The feet at the top belong to Carl as he is getting into position to belay me up. 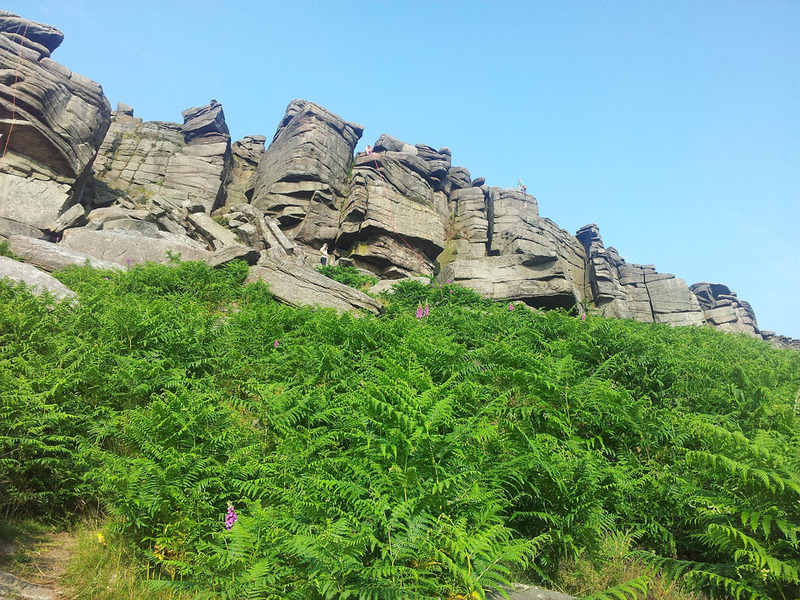 The awesome Stanage Edge going on for miles to the north west. Down there is the car park and as you can see it was fairly empty which meant there was no waiting around to climb today! 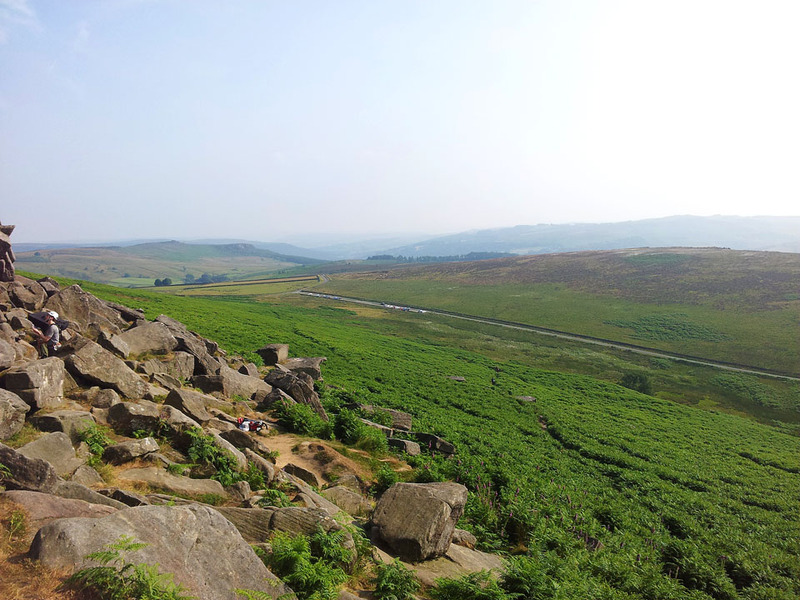 Amazing views whilst climbing if you get the chance to take a look! And again in the other direction. Now moved to the indoor wall as there were Thunderstorms and Lightning all day today. 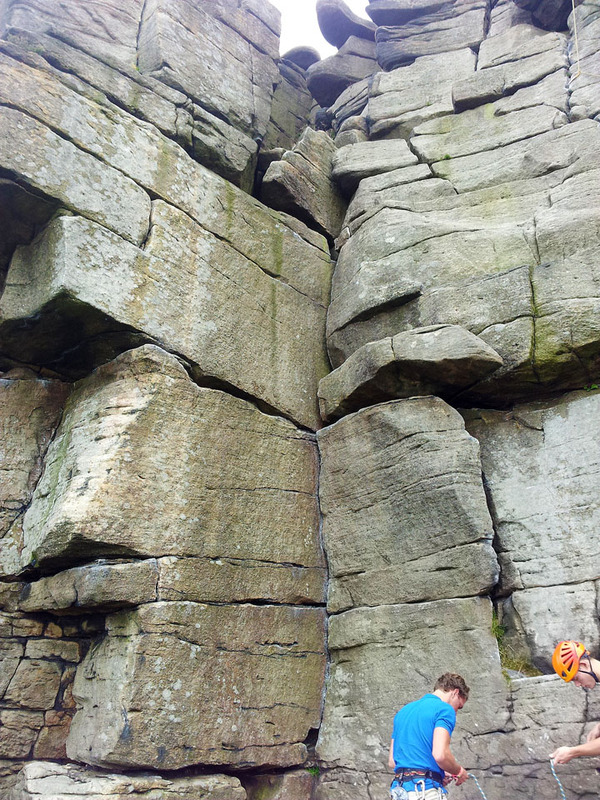 This shows the massive overhang! 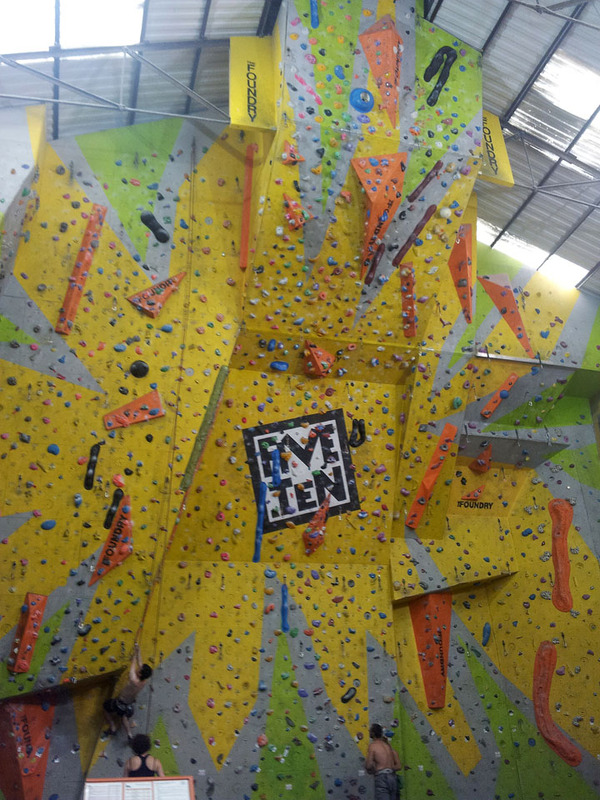 I got as far as the climber is at now and that was it!